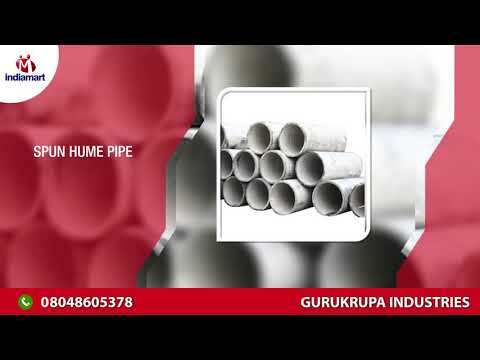 Established in the year 1983, We Gurukrupa Industries are a renowned entity involved in manufacturing a wide range of Hume Pipe, Cement Pipe, Concrete Pipe, Half Round Pipe, RCC Earthing Chamber, etc. We occupied large focus on the quality of our collection and to ensure the same, we make use of excellent quality raw materials. These materials are obtained from our reliable and qualified vendors which are results of long term tenure. Ever new is the selected choice of its customers in the market, owing to its elegant designs, excellent quality, and impeccable finishing.